4 Archetype of Courage 4,- Ikke på lager! 5 Brimaz, King of Oreskos 81,- Ikke på lager! 8 Elite Skirmisher 2,- Foil! 9 Ephara's Radiance 2,- Foil! 16 Griffin Dreamfinder 2,- Foil! 18 Hold at Bay 2,- Foil! 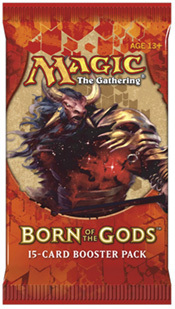 21 Nyxborn Shieldmate 2,- Foil! 22 Oreskos Sun Guide 2,- Foil! 26 Silent Sentinel 9,- Foil! 27 Spirit of the Labyrinth 13,- Ikke på lager! 28 Sunbond 3,- Ikke på lager! 30 Aerie Worshippers 3,- Foil! 31 Arbiter of the Ideal 9,- Foil! 32 Archetype of Imagination 4,- Ikke på lager! 33 Chorus of the Tides 2,- Foil! 35 Deepwater Hypnotist 3,- Foil! 38 Evanescent Intellect 2,- Foil! 41 Floodtide Serpent 2,- Foil! 42 Kraken of the Straits 4,- Foil! 43 Meletis Astronomer 4,- Foil! 50 Siren of the Fanged Coast 3,- Foil! 51 Sphinx's Disciple 2,- Foil! 52 Stratus Walk 2,- Foil! 53 Sudden Storm 2,- Foil! 61 Bile Blight 3,- Ikke på lager! 64 Claim of Erebos 2,- Foil! 66 Eater of Hope 9,- Foil! 69 Fated Return 9,- Foil! 71 Forlorn Pseudamma 4,- Foil! 72 Forsaken Drifters 2,- Foil! 74 Grisly Transformation 2,- Foil! 76 Marshmist Titan 2,- Foil! 78 Nyxborn Eidolon 2,- Foil! 82 Servant of Tymaret 2,- Foil! 83 Shrike Harpy 3,- Foil! 85 Warchanter of Mogis 2,- Foil! 86 Weight of the Underworld 2,- Foil! 87 Akroan Conscriptor 3,- Foil! 89 Bolt of Keranos 2,- Foil! 91 Epiphany Storm 2,- Foil! 93 Fall of the Hammer 2,- Foil! 98 Forgestoker Dragon 9,- Foil! 101 Lightning Volley 3,- Foil! 102 Nyxborn Rollicker 2,- Foil! 110 Scouring Sands 2,- Foil! 111 Searing Blood 6,- Ikke på lager! 112 Stormcaller of Keranos 4,- Foil! 116 Archetype of Endurance 7,- Ikke på lager! 118 Charging Badger 2,- Foil! 119 Courser of Kruphix 33,- Ikke på lager! 121 Fated Intervention 9,- Foil! 124 Hunter's Prowess 9,- Foil! 125 Karametra's Favor 2,- Foil! 128 Nessian Demolok 4,- Foil! 131 Nyxborn Wolf 2,- Foil! 133 Pheres-Band Raiders 3,- Foil! 134 Pheres-Band Tromper 2,- Foil! 138 Setessan Oathsworn 2,- Foil! 139 Setessan Starbreaker 2,- Foil! 144 Chromanticore 21,- Ikke på lager! 146 Ephara, God of the Polis 27,- Ikke på lager! 148 Karametra, God of Harvests 46,- Ikke på lager! 149 Kiora's Follower 4,- Ikke på lager! 151 Mogis, God of Slaughter 51,- Ikke på lager! 152 Phenax, God of Deception 53,- Ikke på lager! 156 Xenagos, God of Revels 75,- Ikke på lager! 157 Astral Cornucopia 9,- Ikke på lager! 160 Pillar of War 3,- Foil! 162 Springleaf Drum 8,- Ikke på lager! 165 Temple of Plenty 19,- Ikke på lager!